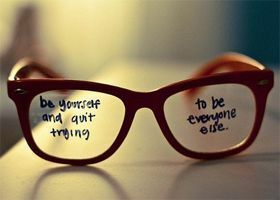 Every individual ahs his or her own identity and it is the best attitude to be your real self always. It gives a lot of confidence, if you stick to your own way of life rather than trying to duplicate others. Fashion mongers are so swept away y the dazzling stars and celebrities that they try to imitate them. But originality is the most beautiful and appreciated aspect. The characters that you have should be refined further and practiced and must not be copied from others. It is not who you are that holds you back its who you think you are not. To be successful in life, you should first believe that you can achieve and develop that self confidence. You are the biggest asset and you have make use of it wisely. Ralph Waldo Emerson says, “make the most of yourself, for that is all there is of you”. Reading these quotes will help you to gain a lot of self confidence.